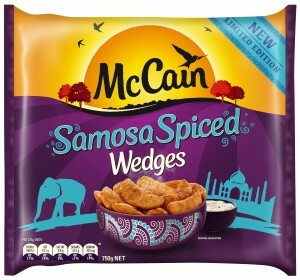 McCain has launched a limited edition range of flavoured frozen potato wedges. The new wedges come in ‘Chorizo and Caramelised Onion’ and ‘Samosa’ flavours. The Samosa wedges consist of the potato wedge with a flavour mix of coriander, cumin, turmeric and garlic herbs and spices. Both flavours of wedges are designed to be accompanied with different dipping sauces such as raita, chutney or mayonnaise. McCains say that most supermarket frozen potato purchases are impulse buys and that the food manufacturer hopes the new seasonings will catch the eye of shoppers. 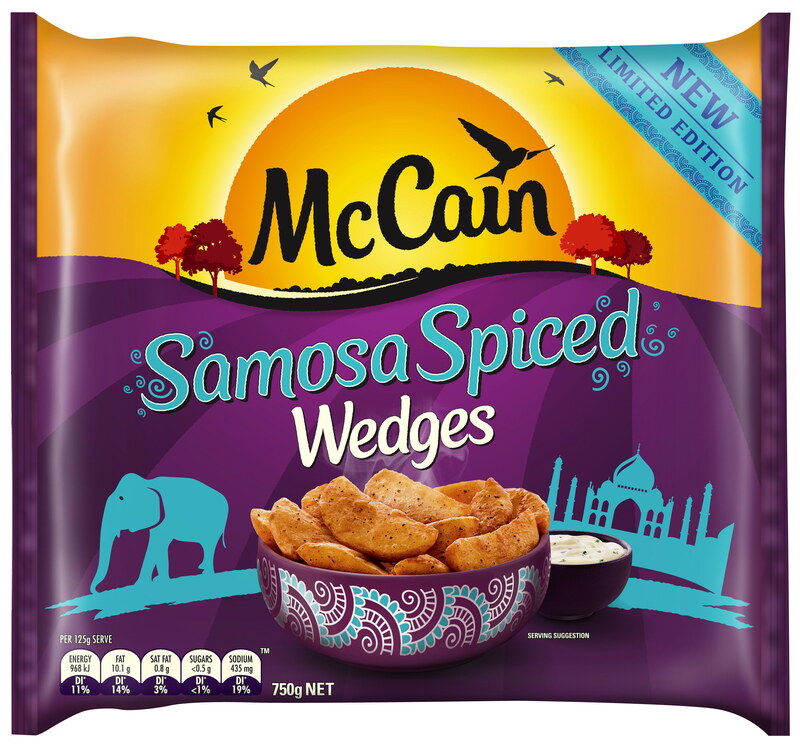 The new flavours will join other recent frozen potato innovations from McCains including sweet potato fries and Hot Bandito Wedges. McCains Chorizo and Caramelised Onion are available now from Woolworths, Coles and IGA nationally. The Samosa flavour can only be found at selected Coles stores. The recommended retail price for both types of Wedges is $3.99 for a 750 gram pack. Dr Oetker is launching new baking products under its Dr Oetker Baking and Queen brands.